Hi Friends! Happy hump day! Since joining the blog-o-sphere back in August of 2013, I’ve always enjoyed reading Jenn’s WIAW link up posts. Jenn is the awesome blogger behind Peas and Crayons and brings tons of food bloggers together every Wednesday to share what they have been putting in their mouths. I’m not sure why it’s taken me so long to join, but here is my first What I Ate Wednesday! 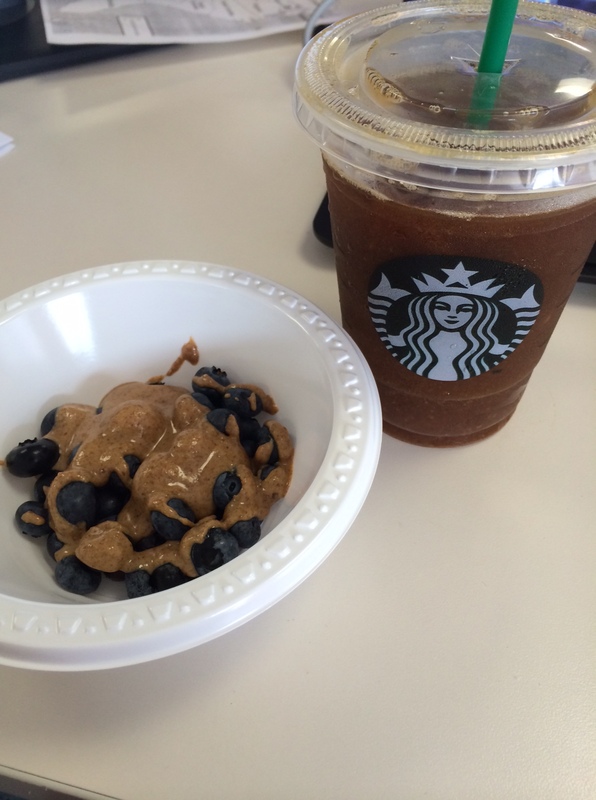 For breakfast I grabbed a grande iced coffee from Starbucks. I’ve been drinking it black lately, but today I added some Almond Milk that my work so kindly has in the fridge. I brought in fresh blueberries that I got over the weekend and drizzled them with some of my homemade maple almond butter. I threw it in the microwave for about 15 seconds…more like dessert if you ask me! At about 1PM I eagerly got my salad out and ate at my desk. I try to wait until at least 1ish to eat lunch but always end up so hungry by the time that rolls around. 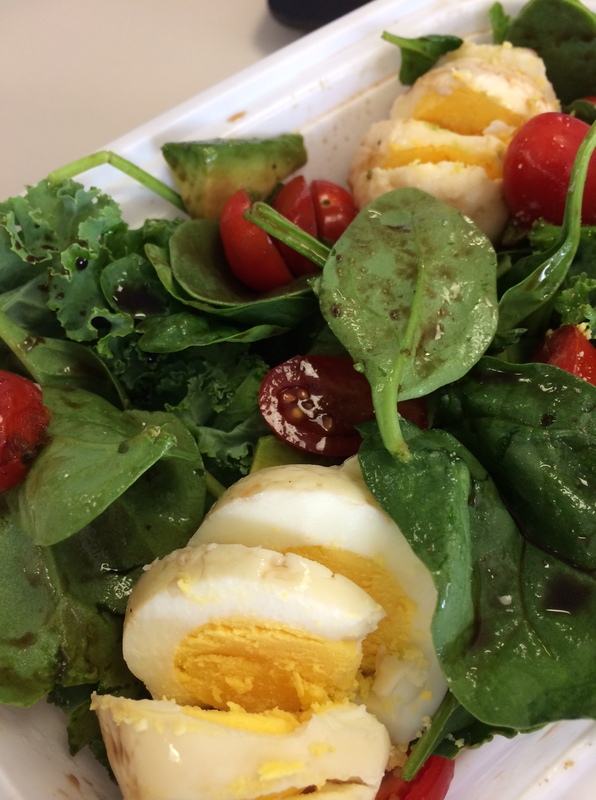 I had a pretty simple salad of kale, spinach, cherry tomatoes, avocado, and hard boiled eggs. 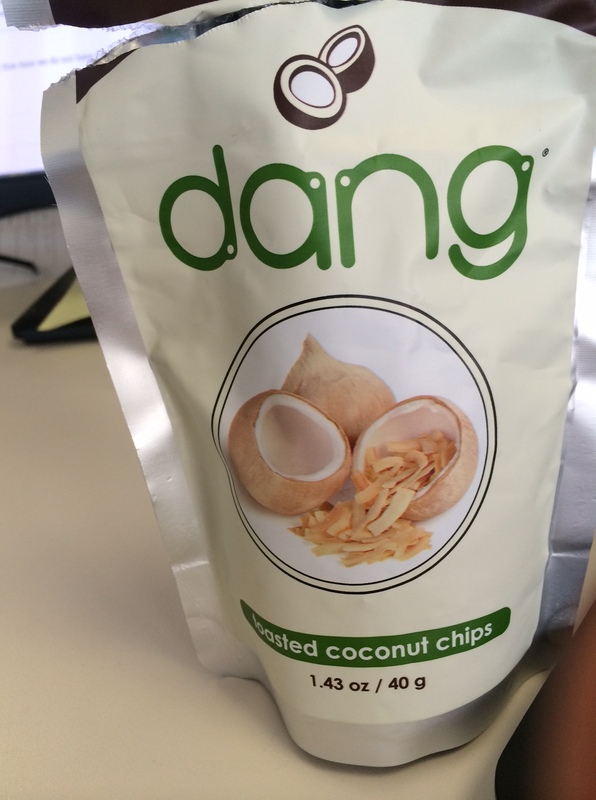 An hour or two after lunch I snacked on these delicious coconut chips. I’ve been loving these lately! They are only $2.99 at Whole Foods and taste like they shouldn’t be good for you – but are! After my snack I popped in a half piece of gum. 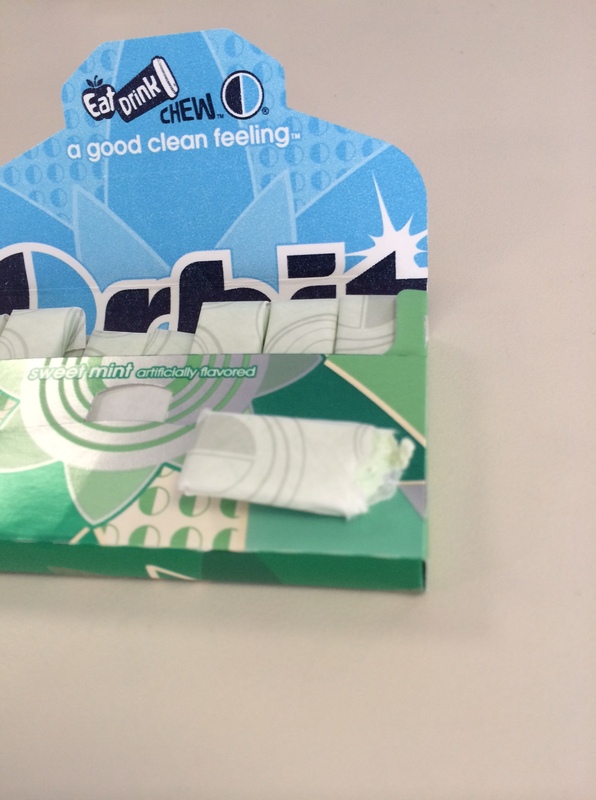 I think I chew gum out of boredom or habit at work. For that reason I started chewing halves so at least I minimize how many pieces I chew in a day! Right before I left work I decided to have this little clementine. 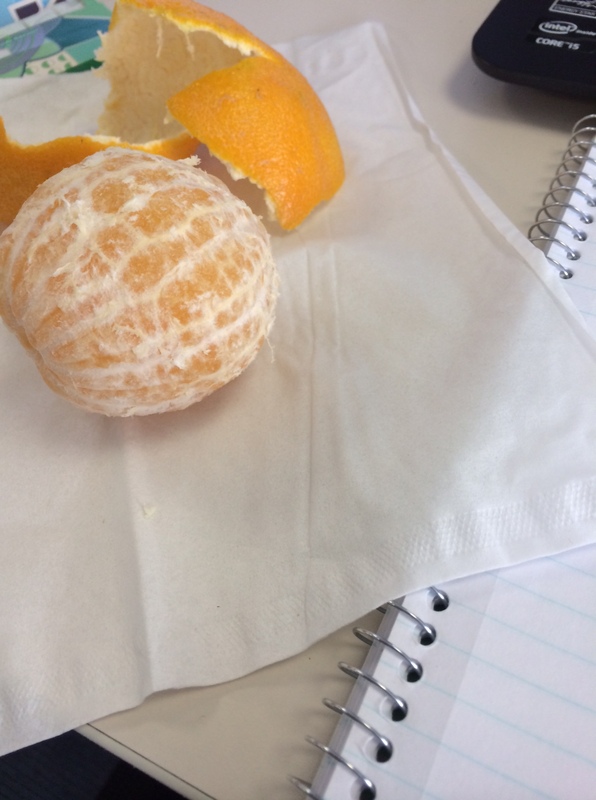 I don’t eat oranges too often, mainly because I think I’m too lazy to peel them. Little did I know how easy clementines are to peel! I got it today in one shot! I came down with a cold this week so thought I could use the Vitamin C. This isn’t food but it’s much prettier than the other pictures in this post. 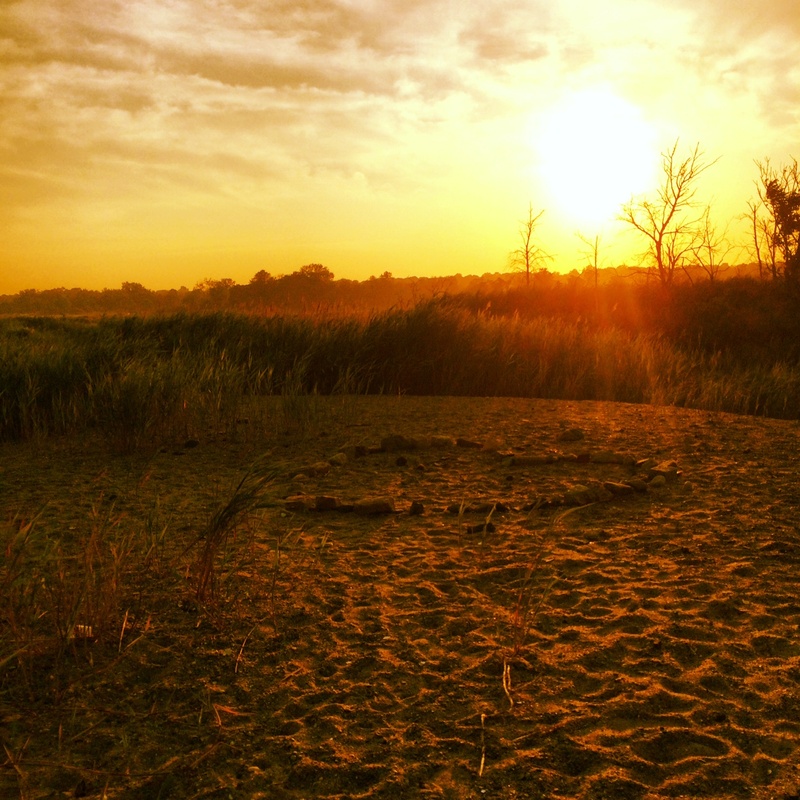 I snapped this on my run tonight. I’m obsessed with my new running spot near my new house. Yes this is instagrammed, but it was just as if not more beautiful in person! After my run I grilled up a few pieces of chicken for lunches for the rest of the week. 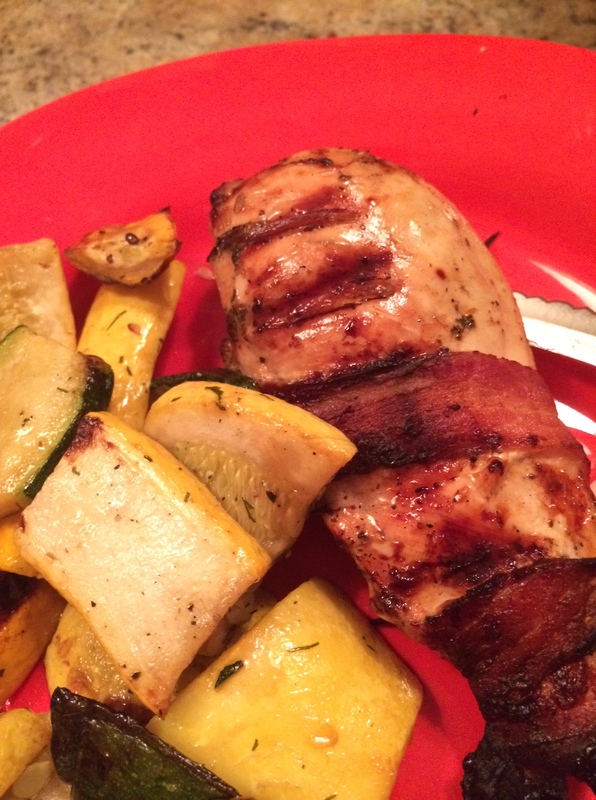 I decided to wrap a piece of bacon around one piece and have it for dinner along with some left over grilled squash. It was dee-lish! I ended my night with a nice square of 80% dark chocolate. I have an addiction. Well that was fun! Maybe I should do this every week! I’ve been loving dark chocolate for dessert too lately – add a bit of nut butter and I swear it’s crack! So easy and good protein!